What is Brand Social Currency? In recent weeks, we looked at reputation, brand and brand value as variables that impact a company’s worth in the global marketplace. We reviewed the various brand ranking reports that determine and monetize the value of the biggest brands in the world annually, including Interbrand’s 100 Best, Brandz’s Top 100 and Credit Suisse’s Great Brands. Those annual lists use a myriad of criteria to assess each brand’s value. However, there is now a new report that examines ‘Brand Social Currency’, rather than brand value. Is there a difference between brand value and brand social currency? Apparently so. Brand value is about determining the worth of a brand based on internal factors such as clarity, commitment, protection and responsiveness, and external factors such as authenticity, relevance, differentiation, consistency, presence, and understanding. It looks at a company’s financials, sales, marketing, operations and reputation to monetize a brand’s worth. 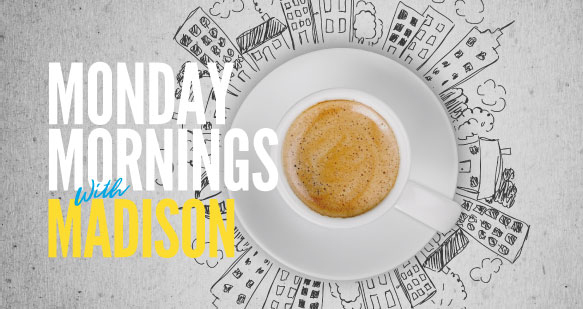 As “Monday Mornings with Madison” is a work-life advice column, what does forgiveness have to do with work or business? Forgiveness is a virtue we typically relate to personal relationships… unresolved conflicts with close family and friends. But actually forgiveness is a virtue – dare we call it a skill — that has value and purpose in all areas of life, including and perhaps especially in business. There is ample evidence that while forgiveness is regularly discussed in classrooms and places of worship, the act of forgiving or being forgiven past transgressions is one that is neglected and undervalued in the world of work, and certainly seldom spoken of in board rooms. Yet, some experts believe that unresolved conflict represents the largest reducible cost in many businesses, yet it remains largely unrecognized (Dana 1999, Slaikev and Hasson, 1998). What might the average workplace be like if every person, from entry level staff to C-Suite execs, were all equally willing and able to give and receive apologies and release resentments quickly and freely? Might forgiveness actually impact a company’s bottom line? According to a 2011-2012 Towers Watson North American Talent Management and Rewards Survey, despite a volatile economy and a stubbornly high unemployment rate, almost 60% of U.S. companies are having trouble attracting critical-skill employees. This is an increase over 2010. Those companies also have to balance that against strong pressure to manage costs, a growing trend of expecting employees to work longer hours, and a steady drift toward decreasing the rate of merit pay raises. Having just commemorated Labor Day, it is a good time to consider the meaning and purpose of this holiday, often referred to as “the day of the worker.” What are the most important factors that companies and managers should consider as they celebrate their organization’s greatest asset: its workers? Do companies do a good job of demonstrating that they value their employees? And does leadership understand the things employees value most?